Their roundtable panel’s abstract below provides an overview of their group presentation. Each member of the panel also provided individual presentations at the conference. In August 2017, a diverse group of 26 Charlotte-Mecklenburg School (CMS) teachers attended a presentation and workshop led by the Equal Justice Initiative (EJI). 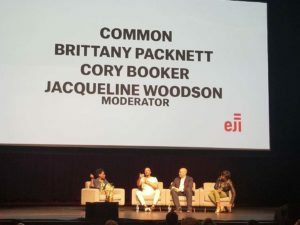 Then Charlotte Teachers Institute (CTI) offered two seminars for CMS teachers aligned with EJI’s work called “Media and Minorities: Unpacking Stereotypes”, and “Memorials, Memories, and American Identity.” In a culminated trip to Montgomery, AL, the teachers participated in the opening of EJI’s Legacy Museum and the Memorial for Peace and Justice in April 2018. Teachers presented their reflections and new curricula to the Director of Diversity and Inclusion in CMS. This included curriculum innovations in each of their classrooms as well as a workshop for Charlotte-Mecklenburg teachers on implicit bias, which occurred in August 2018. 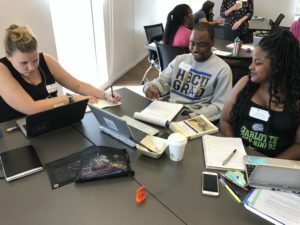 Additionally, planning is underway to include two new curriculum units in all American History II classes in 2020 that focus on both national and local events around 2 key subjects: Jim Crow and the Fight for First Class Citizenship (1876-1953) and The Modern Civil Rights Movement and Beyond: The Fight for Social and Economic Justice (1954-the Present). The panel will discuss these curricular ideas, the implicit bias training for teachers, existing CTI curricula on racial terror lynchings, and efforts in Charlotte-Mecklenburg to collaborate with EJI to bring historical markers and a memorial to commemorate the two documented acts of racial terrorism in Charlotte. 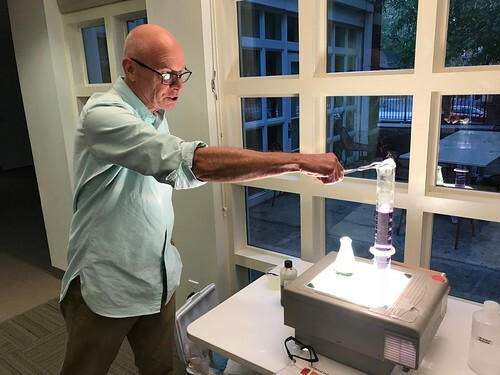 Applications for the eight new 2019 CTI Seminars are open now until Sunday, March 17, at midnight. 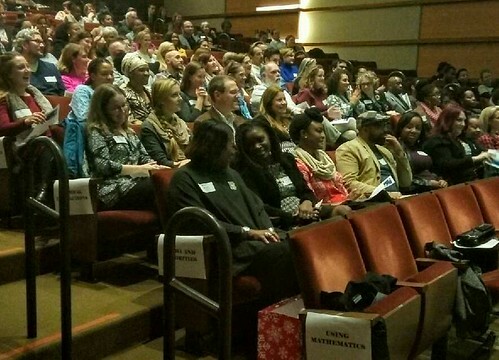 All Charlotte-Mecklenburg Schools teachers who instruct students full-time are eligible. Here’s where to find info on how to apply. 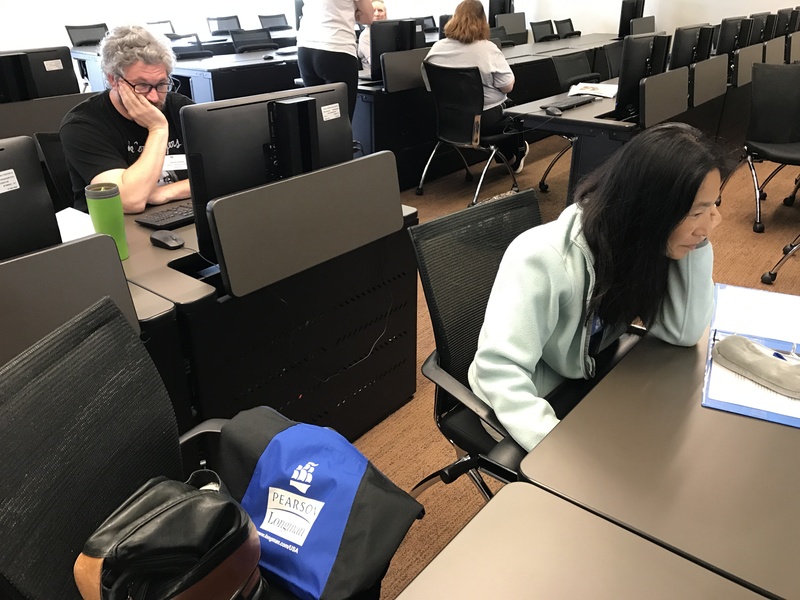 Permalink | Comments Off on 2019 CTI Seminar Applications Open Now – Apply Today! 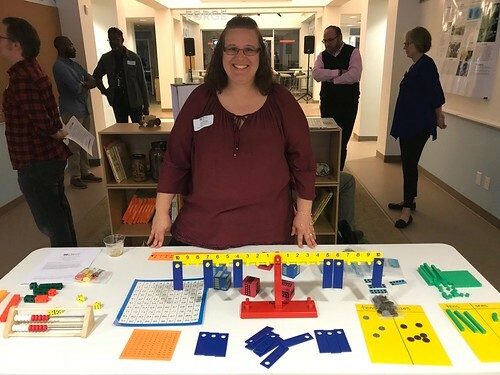 86 Charlotte-Mecklenburg teachers celebrated the completion of the eight 2018 CTI seminars and creation of original curricula for their students on Thursday, December 6, 2018 at the Bechtler Museum of Modern Art. 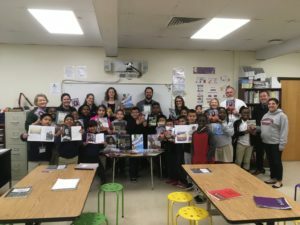 Take a look at the presentation from that evening to see pictures of teachers in seminars, learn more about 2019 seminars, and more! See presentation. 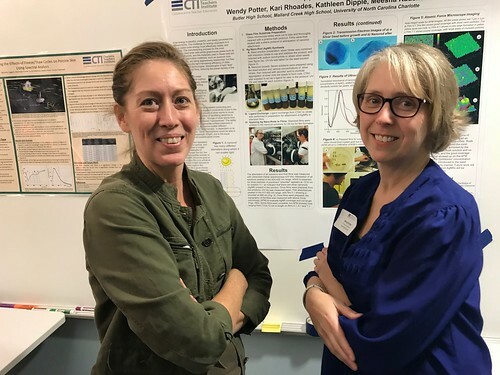 Thursday, Sept. 6, 4:30-6:30 p.m.
CTI will showcase CMS teachers’ work on university research projects at a special event on Thursday, Sept. 6, 4:30-6:30 p.m. at Johnson C. Smith University’s New Science Building. 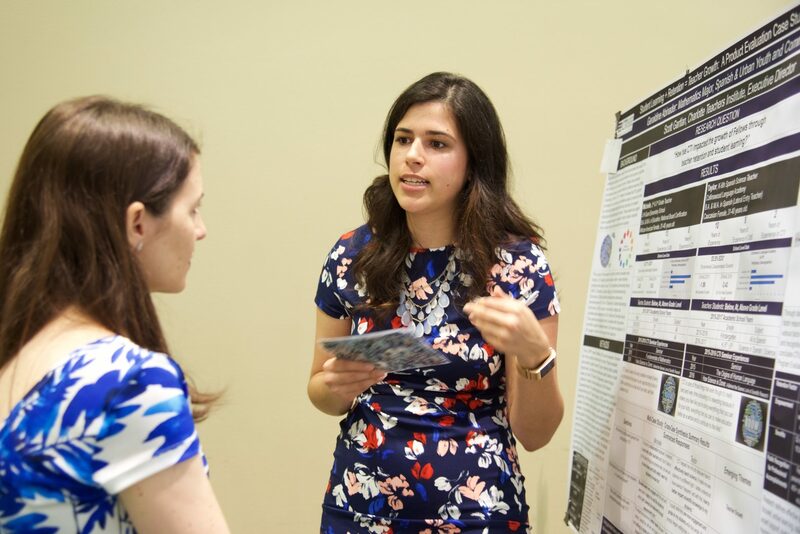 This 2018 Summer Research Experience for Teachers Reception & Poster Session is free and open to the public. 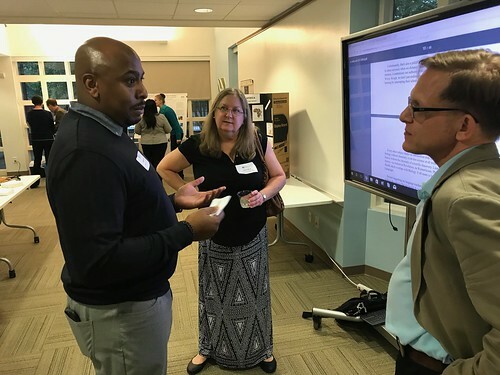 Guests are invited to learn about Charlotte-Mecklenburg Schools teachers’ summer research in the sciences and humanities with professors at JCSU, UNC Charlotte and Queens University of Charlotte. 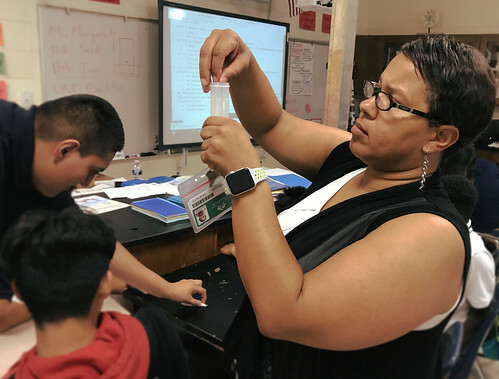 Seventeen CMS teachers worked in eight different laboratories and research settings led by university professors. During the Sept. 6 reception, the SRET teachers, professors and graduate assistants will share poster presentations and discuss their unique collaborations and how this research experience translates to their classrooms and their students. Refreshments will be served. UNC Charlotte — Dr. Susan Trammell, physics and optical science; David Wilson, computer science; and Janaka Lewis and Alan Rauch, English. JCSU — Dr. Todd Coolbaugh and Dr. Tracy Fox-Brown, chemistry. 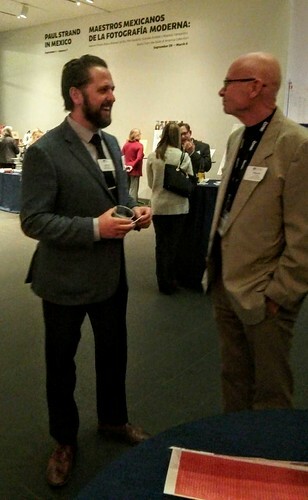 Queens University — Dr. Aaron Socha, chemistry; and Dr. Scott Weir, biology. 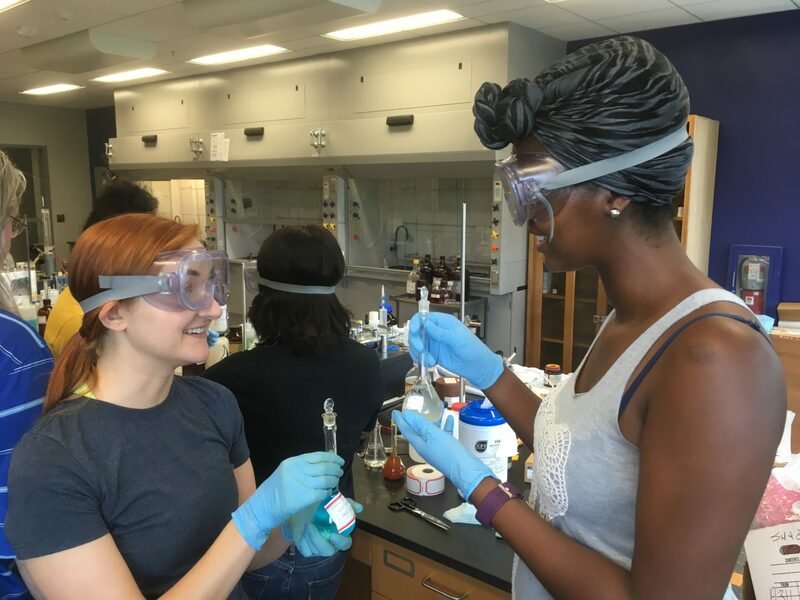 Details about all eight research experiences — spanning areas from cancer detection prototypes, biofuels, toxicology and nanomaterials to digital design, Black girlhood in literature, and Victorians and the natural world – are featured at 2018 SRET. Twenty-six CMS teachers traveled far, together, to face America’s legacy of racial injustice revealed through the Equal Justice Initiative’s new Legacy Museum and national memorial to victims of lynching, in Montgomery, AL. 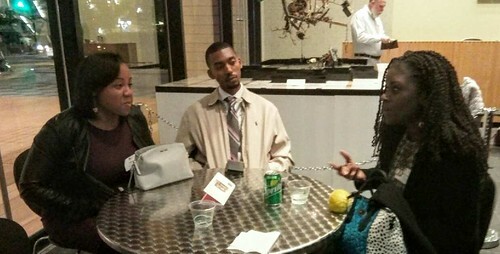 Their transformative expedition April 26-28 to the opening ceremonies of The National Memorial for Peace and Justice and The Legacy Museum: From Enslavement to Mass Incarceration, was supported by Charlotte Teachers Institute, Charlotte-Mecklenburg Schools and the Greenspon Center for Peace and Social Justice at Queens University of Charlotte. 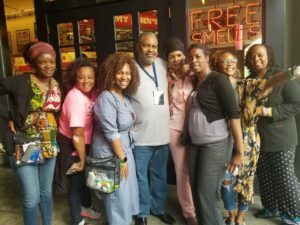 The teachers joined in discussions about the book White Rage by Carol Anderson; visited the EJI memorial and museum and the Southern Poverty Law Center’s Civil Rights Memorial; participated in a two-day Peace and Justice Summit; attended the Concert for Peace and Justice (featuring Common and Stevie Wonder); and also visited a lynching memorial in Georgia during their bus ride back to Charlotte. The teachers’ trip, conceived and organized by former CTI Fellow and East Mecklenburg High History Teacher Larry Bosc, was an outgrowth of an equal justice workshop last summer with EJI, hosted by CTI and the Greenspon Center. Teachers at that workshop heard about plans for the new memorial and museum and were motivated to participate in the opening ceremonies, as well as develop new lessons for their students, based on EJI research and curricula. 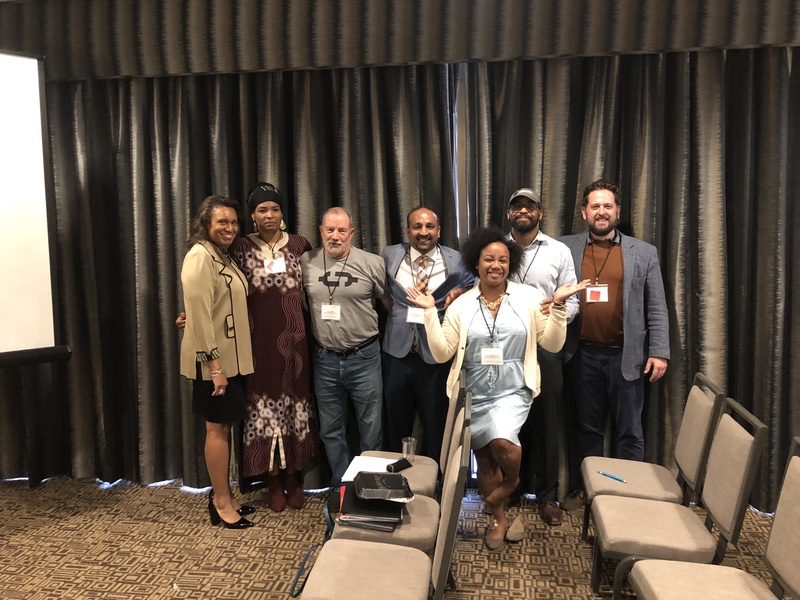 Upon returning to Charlotte, the CMS teacher group committed to begin work to bring to Charlotte the memorial recognizing the two Mecklenburg County lynching victims: Willie McDaniel and Joseph McNeely. 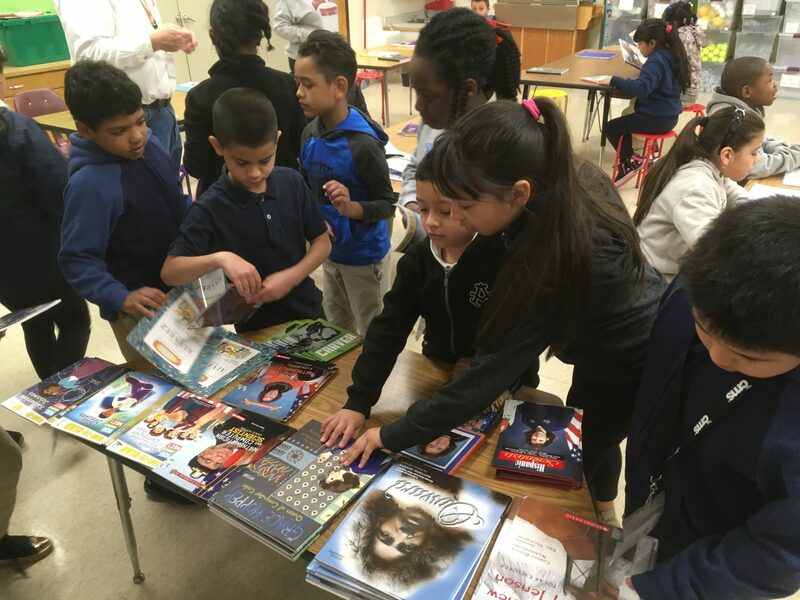 On March 2, 2018, CTI brought 70 books to Ted Miracle’s classroom at Devonshire Elementary School. Dr. 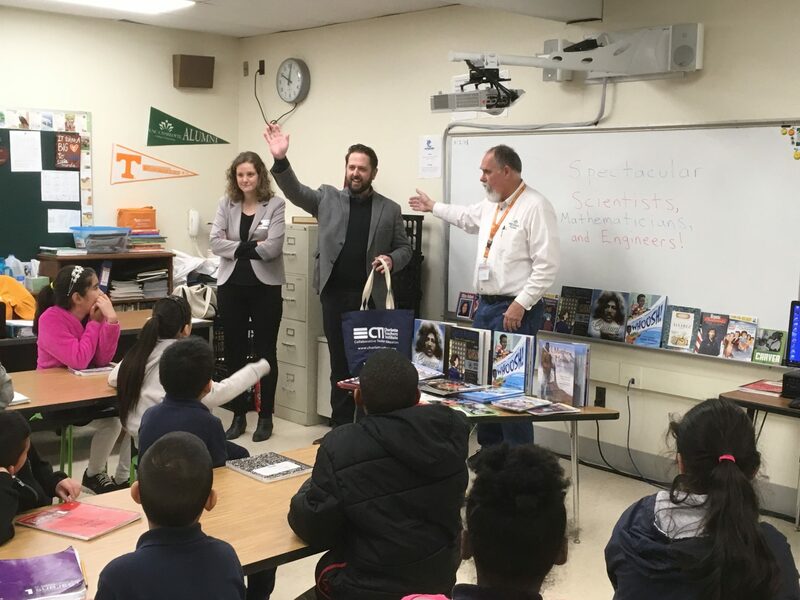 Miracle, one of CTI’s crowdfunding grant recipients, received $500 of books to help implement his CTI-inspired, original curriculum unit, “Living Memorials to Spectacular Scientists, Engineers, and Mathematicians.” Dr. 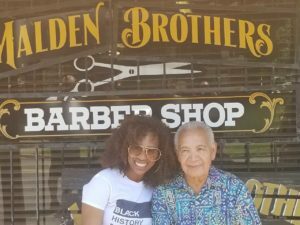 Miracle developed his unit as a 2017 CTI Fellow in the Memorials, Memories, and American Identity seminar. 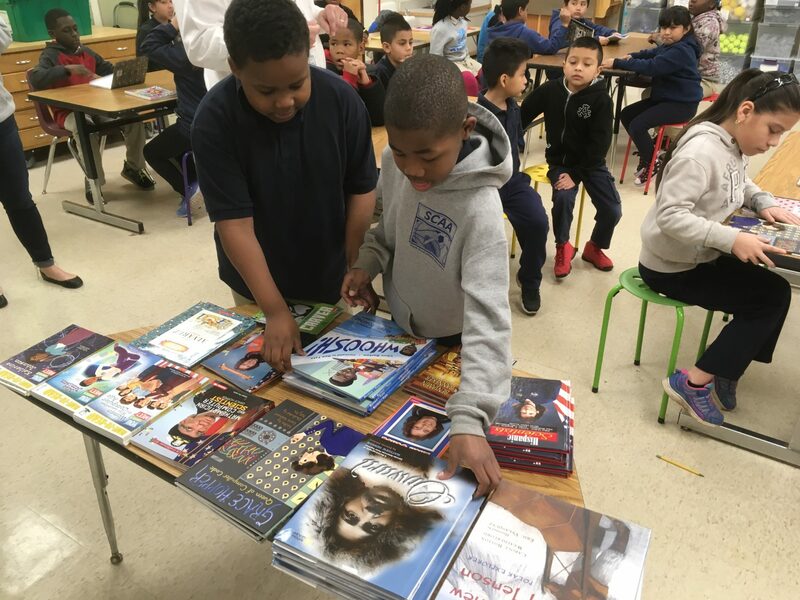 These 3rd grade students were overjoyed to see these new books donated to their classrooms. They also had a special visit from CTI Seminar Leader Emily Makas, architectural historian at UNC Charlotte, Scott Gartlan, CTI executive director, and Robin Mara, CTI associate director. Through his CTI-inspired curriculum unit, Dr. 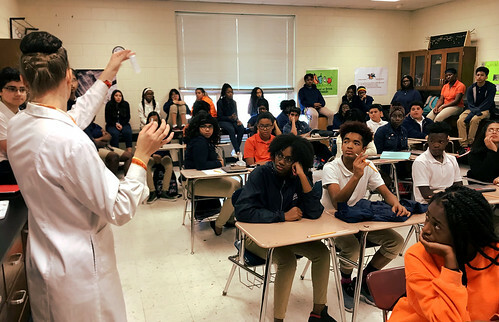 Miracle seeks to inspire the next generation of scientists by introducing his students to underrepresented (e.g., African-American, Hispanic, female) scientists, mathematicians, and engineers. To do so, his students will read biographies of great leaders in STEM fields. 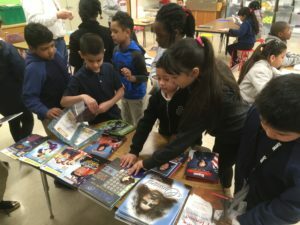 Then, after choosing one especially inspirational to them, the students will research and build a memorial poster that they present to their class. 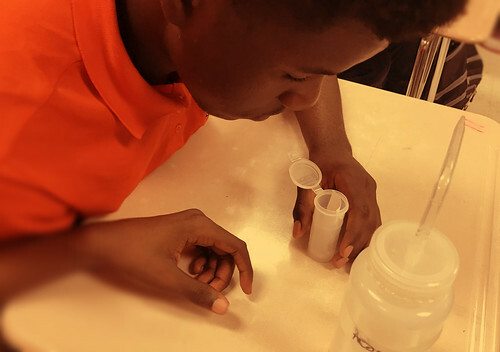 The goal is to get students excited to excel in school and follow in the footsteps of scientists from long ago. 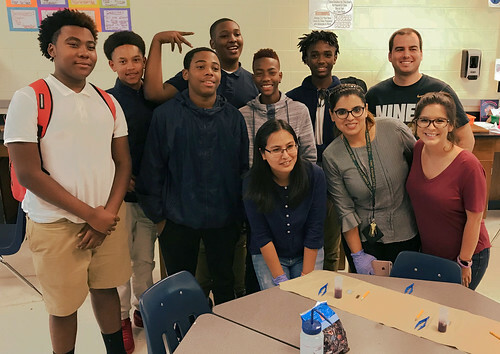 Thanks to the generosity of 55 community donors, CTI’s first Crowdfunding Project exceeded expectations by raising $3,622 in Fall 2017. 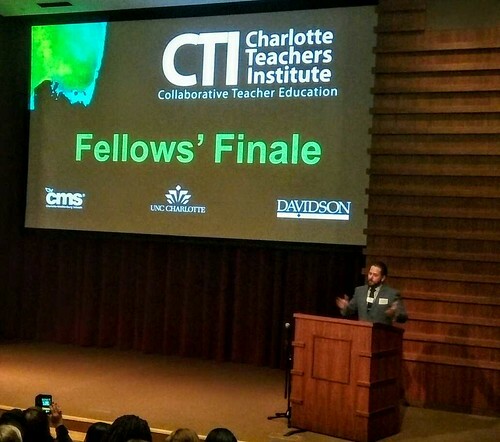 CTI is using these funds to award project mini-grants to CTI Fellows (CMS teachers) to support implementation of new curricula they developed in CTI seminars for their students. 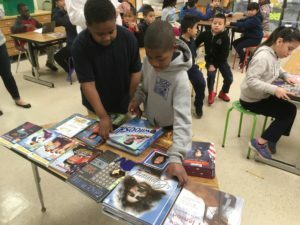 View the full list of donors here, along with the many education supporters honored or memorialized through these donations. 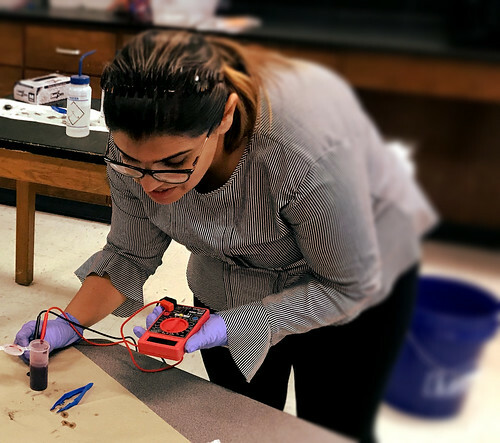 CTI Fellows can apply for curriculum unit implementation mini-grants ($100-$500) by completing a brief curriculum unit funding application. For more information contact CTI Director Scott Gartlan at scott.gartlan@uncc.edu. 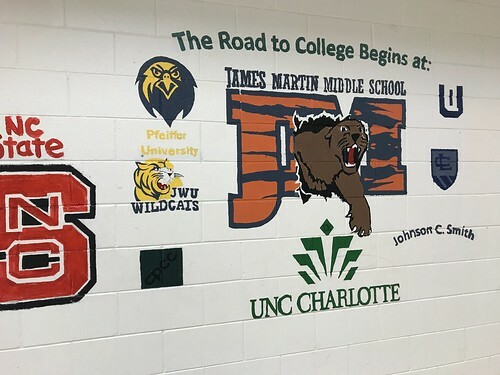 In a move designed to deepen and diversify its engagement in professional development for teachers, Charlotte Teachers Institute (CTI) has formed a new educational partnership with Johnson C. Smith University to support classroom teachers in Charlotte-Mecklenburg Schools. 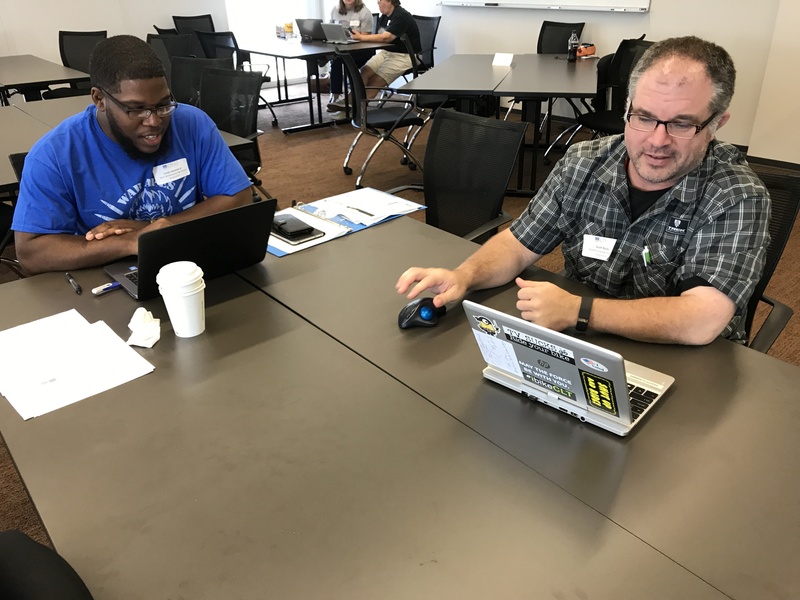 Through CTI seminars led by UNC Charlotte and JCSU faculty, CMS teachers learn new content, work collaboratively with other teachers and develop new curricula for their students. Teachers serve as leaders in the institute, working collaboratively with university faculty. To date, more than 450 CMS teachers have participated in 68 CTI seminars, producing more than 700 original curriculum units and enriching more than 103,000 students. 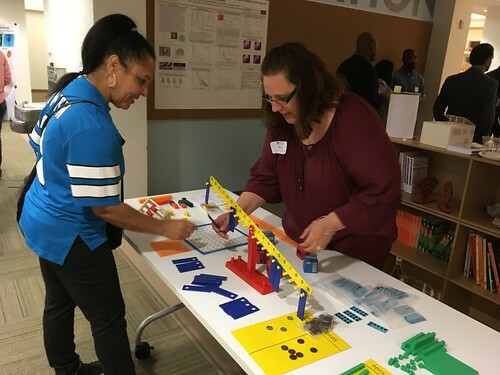 CTI and its partners provide activities on active learning and leadership opportunities for teachers. 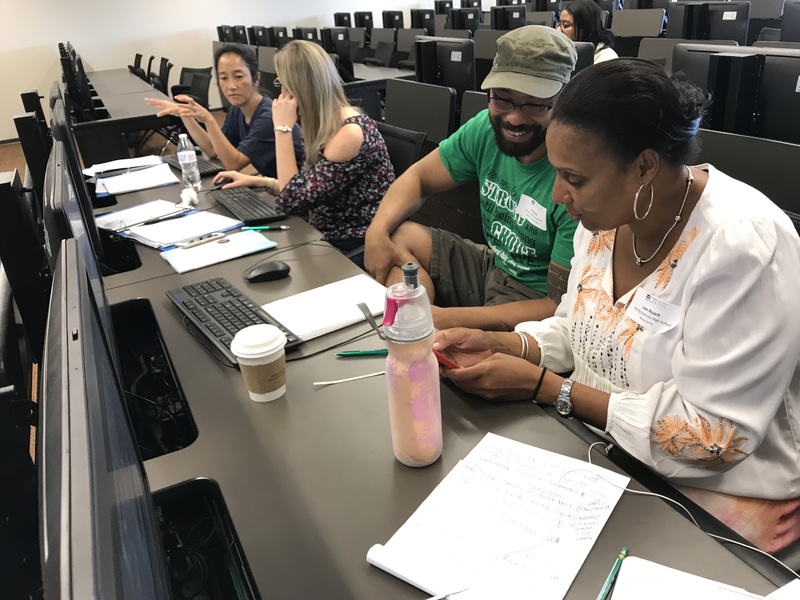 Through intensive, seven-month seminars, led by faculty from UNC Charlotte and JCSU, CMS teachers learn new content, work collaboratively with other district teachers and develop curriculum units for their own classrooms. 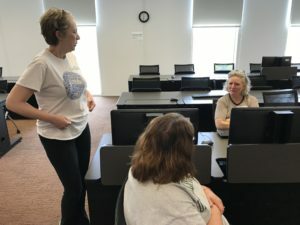 The Charlotte Teachers Institute is housed in the College of Liberal Arts & Sciences at UNC Charlotte. This fall, JCSU will lead seminars for the first time; CMS teachers are currently applying for spots in the seminars. CTI is founded on four pillars of strong professional development: content knowledge, creativity, leadership and collaboration. The new partnership will broaden the partnership’s capacity within each of the areas of emphasis. 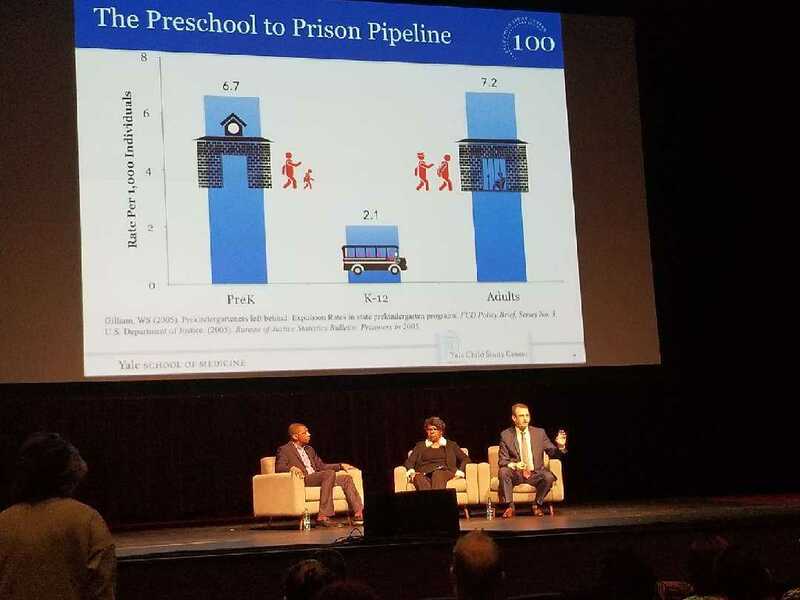 CTI’s focus on building social capital among teachers, faculty and graduate students addresses the community-based Leading on Opportunity initiative’s priorities to tackle the community’s upward mobility, stated Gartlan. 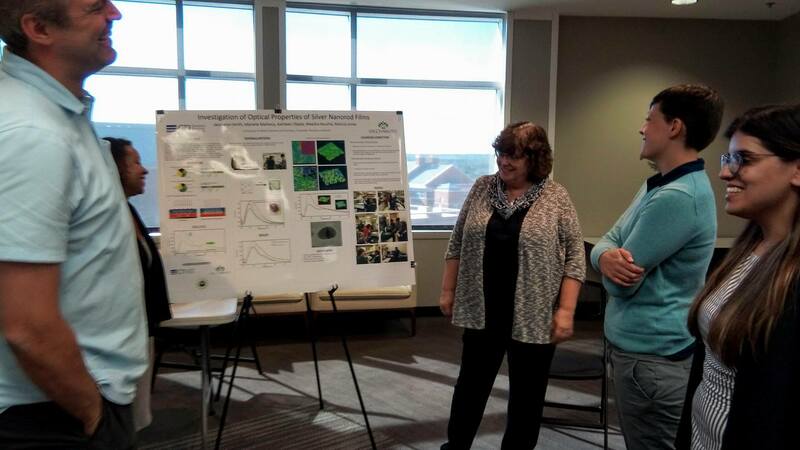 Photo: Margaret Kocherga, Ph.D. nanoscale science graduate student, UNC Charlotte; Phil Carver, eighth grade science teacher, James Martin Middle School; Tom Schmedake, associate professor of chemistry, UNC Charlotte; Geneva Bell, eighth grade science teacher, James Martin Middle School; participated in a CTI summer research experience. 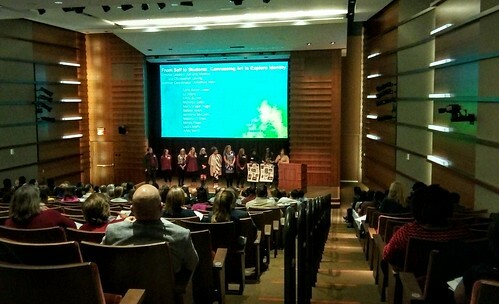 On December 7, 2017, each of this year’s 93 Fellows were celebrated for their accomplishments in the 2017 seminars and Curriculum Units. 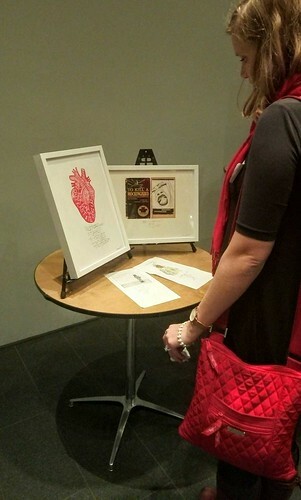 The celebration took place at the Fellows Finale 2017, held at the Bechtler Museum of Modern Art. 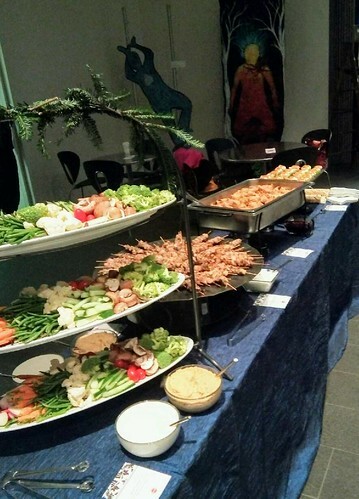 The Fellows and their friends ate, laughed, and reminisced together at the reception before the Finale itself. 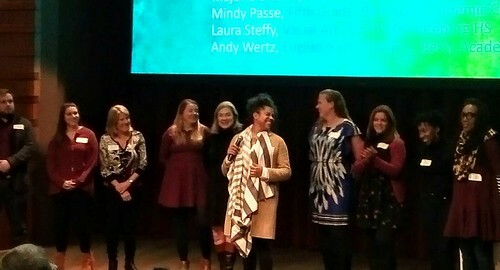 During the ceremony, each seminar group took the stage to recognize their Seminar Leaders and to share how the past year with CTI impacted them. 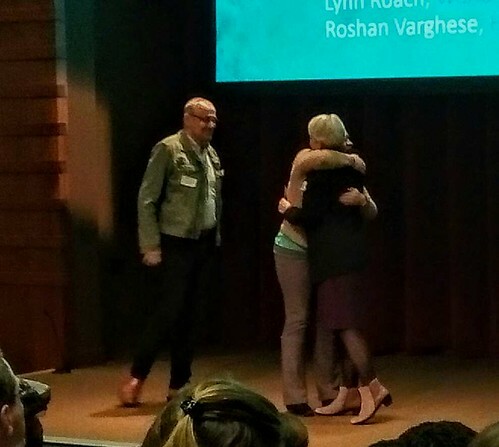 Consistent conclusions among what the Fellows shared revealed themselves as the ceremony progressed. 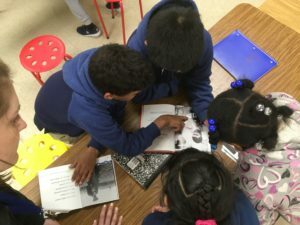 Those touching themes included how they had grown as teachers and people, made new friends and memories, and the magnitude of what they learned and what it meant to them and their students. There are no words to express how proud those of us at CTI are of our Fellows and how excited we are for the upcoming 2018 seminars. 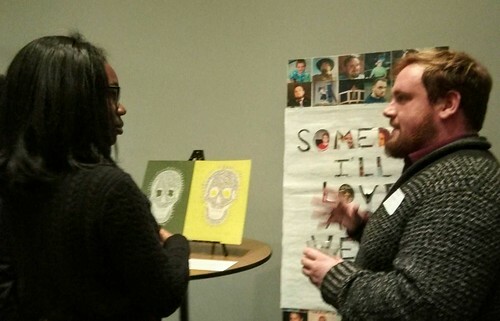 Cheers to all our great presenters at CTI’s Evening for Educators event Oct. 17 at Discovery Place Education Studio. Presenters included current and former CTI Fellows from CTI Seminars, and CTI Fellows, Seminar Leaders and UNCC graduate assistants who participated in our Summer Research Experience for Teachers. Our guests — CMS teachers, CTI supporters and local community members — were very impressed with the excellent curriculum ideas provided, and got lots of great ideas to take back to their students and schools. Many thanks to these presenters for sharing their super engaging, innovative work! Permalink | Comments Off on Cheers to Our 2017 CTI Evening for Educators Presenters! 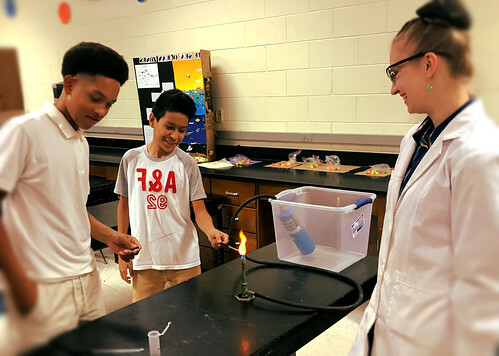 Excited young minds at James Martin Middle School were treated by a collaboration of their teachers and scientist who worked together at this year’s CTI Summer Research Experience for Teachers (SRET). 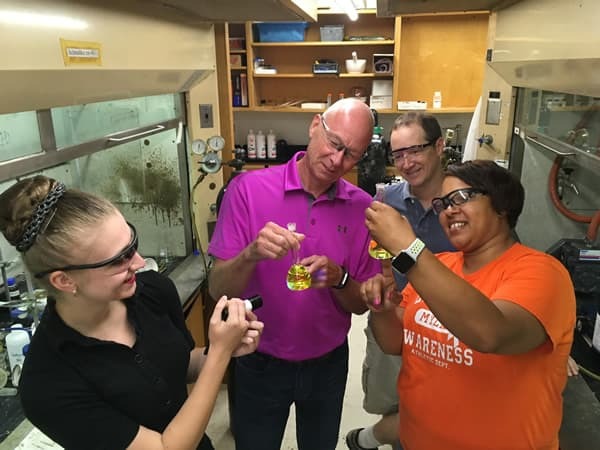 Two 8th grade science teachers from James Martin Middle School, Geneva Bell and Phil Carver, worked with a Ph.D. graduate student and professor of chemistry from UNC Charlotte, Margaret Kocherga and Dr. Tom Schmedake, this summer to research and develop new STEM curricula. 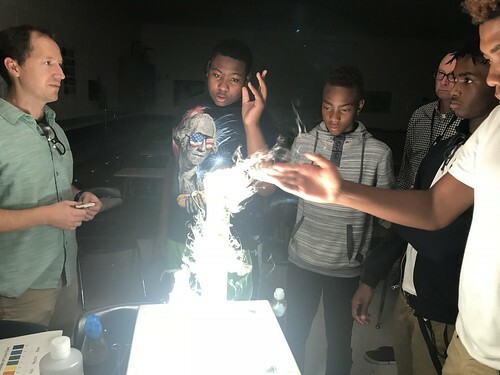 This wonderful group wanted to share their expertise and enthusiasm with students, so, they planned a series of four fall activities to show the students and the community the engaging, fun side of science. 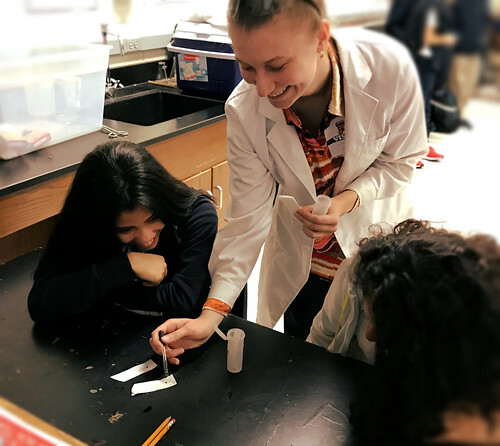 It began with James Martin Middle School Curriculum Night on Oct, 10, where students and parents engaged in a variety of scientific activities and lectures. Carver described what students gained from the experience: “Hands-on lab activities and a new perspective from a professor and graduate student from a large university.” He added, “Dr. 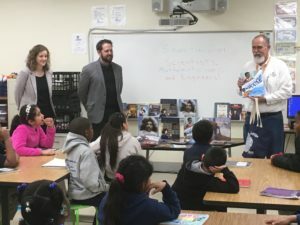 Schmedake discussed career opportunities for science-related jobs in Charlotte and North Carolina” including sharing salaries for scientists to his 8th grade students. 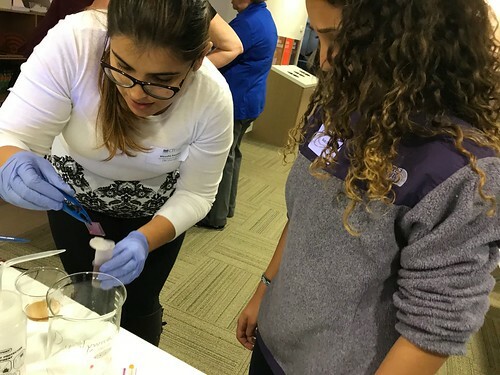 The labs included activities such as how to assemble Blackberry Solar Cells from TiO2 nanoparticles and graphite and experiments with dry ice. 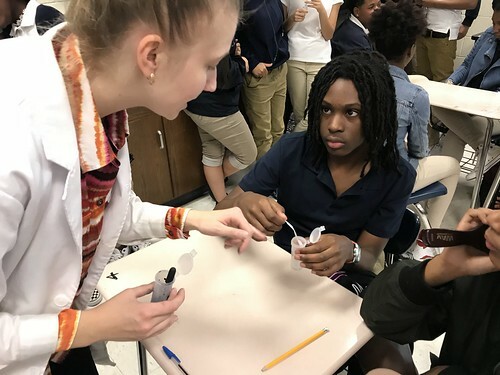 On Oct. 11, Schmedake and Kocherga visited Bell and Carver’s classroom with a host of hands-on activities “that were related to various subjects they have already covered in their 8th grade science class,” Kocherga explained. 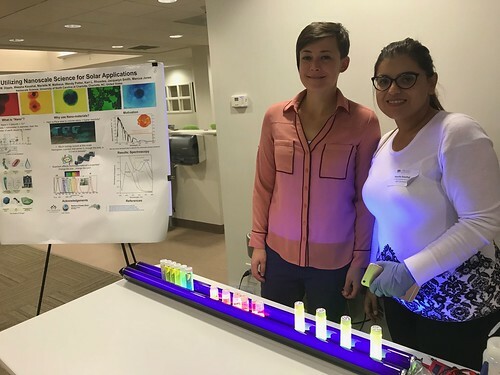 On Nov. 11, the four will share their experiences at the Southeastern Regional Meeting of the American Chemical Society (SERMACS) with scientists, educators and students in a presentation called “Teachers in the Lab: A Research Experience with Fluorescent Dyes in Light-Emitting Diodes (LEDs).” Finally, on Nov. 15, Schmedake and Kocherga will return to Bell and Carver’s 8th grade science students to continue their project-based learning scientific demonstrations. 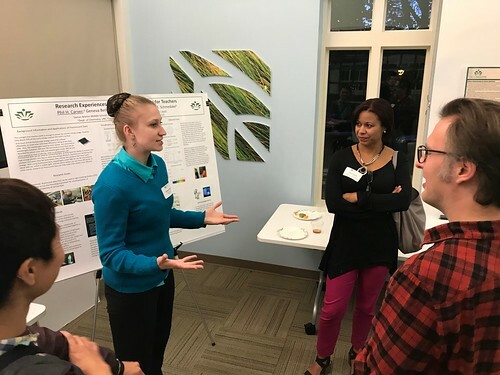 In the end, the research team sought “to break stereotypes about ‘boring science,’ and inspire a new generation to pursue STEM fields and continue advancement in technologies that are used in daily life” as Margaret Kocherga described. The team helped open the young minds at James Martin to a world of possibilities that science provides. It is amazing to see these teachers and scientist inspire the next generation of scientists today to create a better world tomorrow. 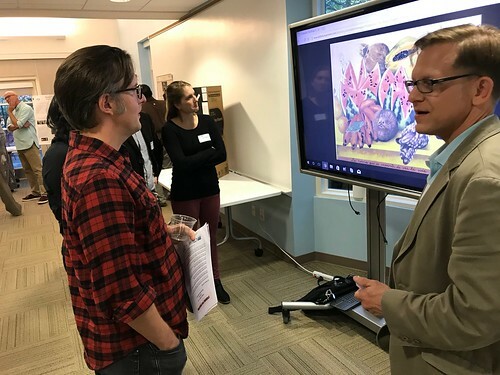 Fascinating research, our awesome CTI Fellows, and many attentive guests all came together for CTI’s Summer Research Experience for Teachers (SRET) Reception on Thursday, September 7, at UNC Charlotte’s Atkins Library. 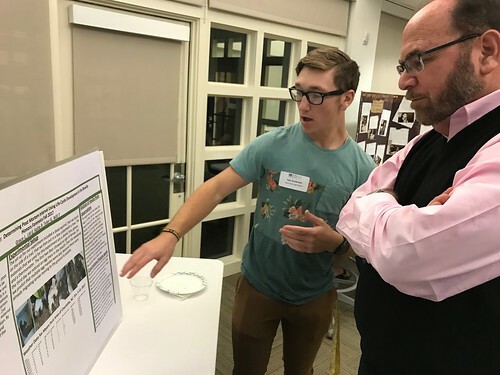 Eight teams comprised of CTI Fellows, graduate assistants and professors, from UNC Charlotte and Davidson College, collaborated in physics and chemistry research labs during June and July. At the SRET Reception, they displayed posters illustrating their findings and discussed them with reception attendees. 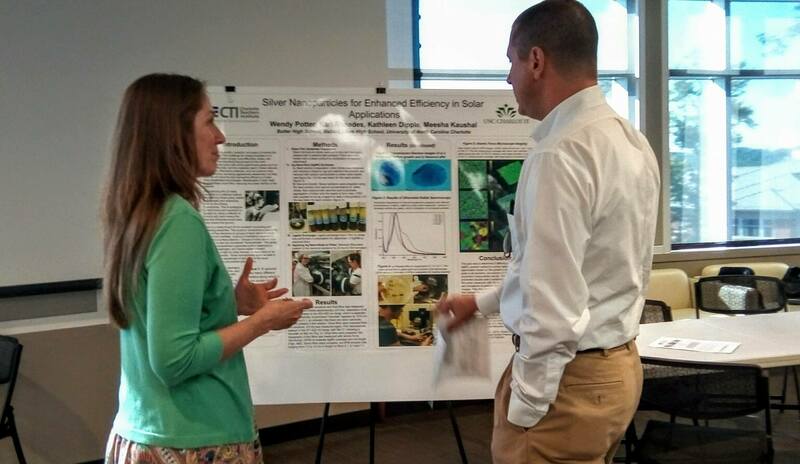 CTI Fellows’ posters and research information can be found on CTI’s SRET webpage. 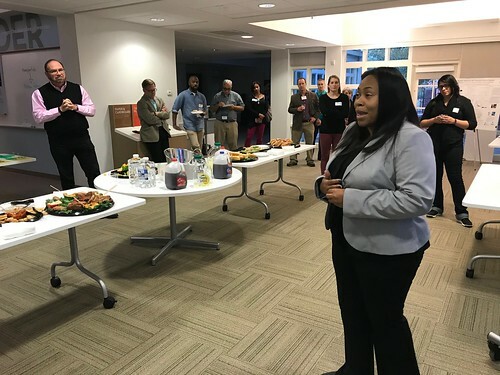 Deans, faculty, staff and and our other CTI Fellows joined us to commend and learn from the great research gleaned from the SRET projects. The public did the same, creating a wonderful, intellectual and casual atmosphere, accompanied by pizzas and drinks. Thank you to everyone who attended and to all who participated in SRET. 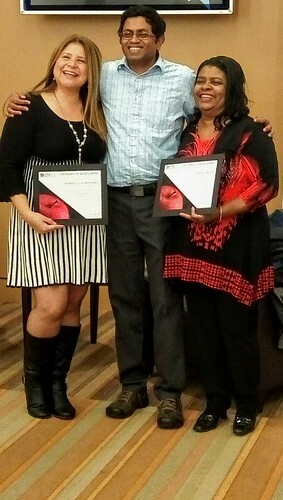 Congratulations on your marvelous hard work! 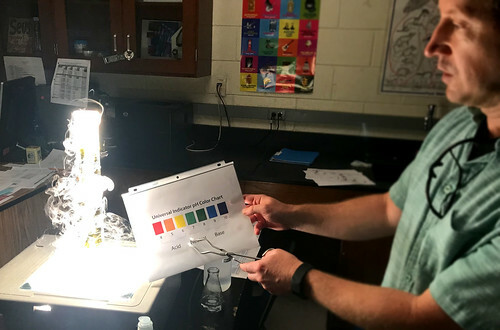 Six CTI Fellows presented lessons from their CTI Summer Research Experience for Teachers with teaching colleagues at the CMS Science Curriculum Day Aug. 17 at South Mecklenburg High School. 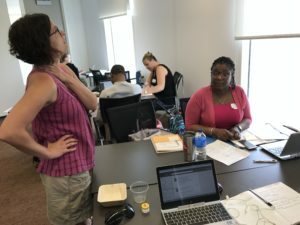 SRET Fellows shared what distinguishes CTI’s professional development from other PD, how they became involved in CTI’s SRET, research methods and concepts they explored in university laboratories, and their plans to implement research in their classrooms this fall, with the help of UNC Charlotte graduate students. CTI presenters included Michelle Faggert (Martin Luther King MS), Namrata Gupta (Nations Ford ES) and Curtis Overton (West Mecklenburg HS) from Dr. Susan’s Trammell’s physics lab; Geneva Bell and Phil Carver (both at James Martin MS) from Dr. Tom Schmedake’s chemistry lab; and Kari Rhoades from Dr. Marcus Jones’ chemistry lab. 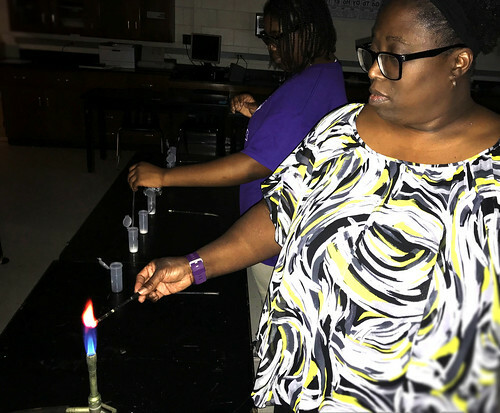 Each of the three groups presented two 50-minute sessions for other CMS science teachers. 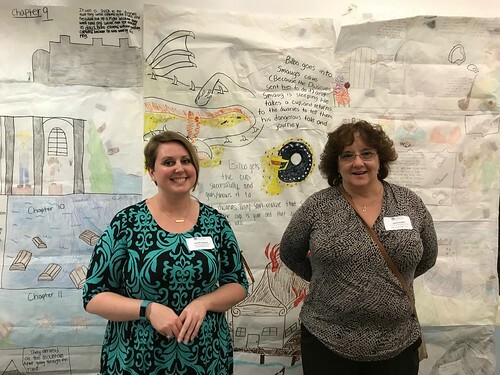 Cheers to these dedicated Fellows for sharing their SRET learning with other teachers! 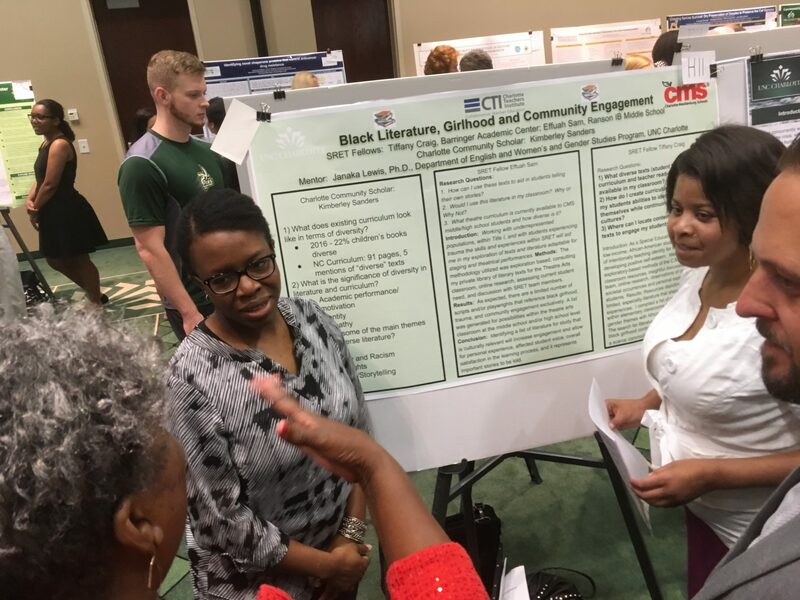 Two UNC Charlotte undergraduate students participated in UNC Charlotte’s Charlotte Community Scholars program aimed at fostering research skills in the area of civic engagement. 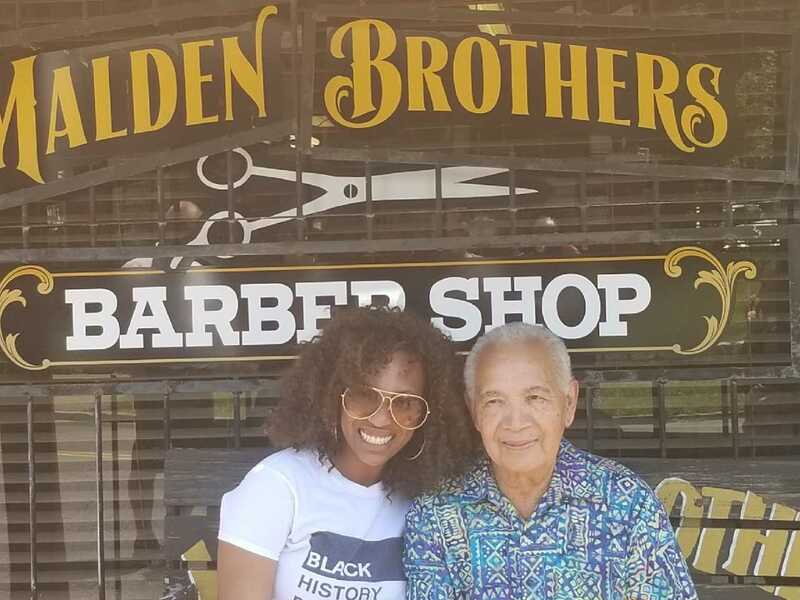 Geraldine Abinader, a mathematics major and Spanish and Urban Youth and Communities minor, and Hao Djur, an anthropology and biology and Urban Youth and Communities minor, completed intensive research projects over the course of the 9-week summer program. 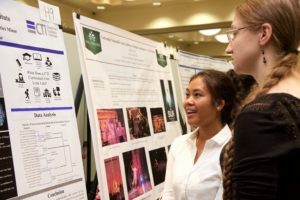 At the 2017 Summer Research Symposium, Geraldine received first place in the “Humanities, Social Sciences, Education, Business, and Art” category for “Student Learning + Retention = Teacher Growth: A Product Evaluation Case Study among CTI Fellows.” Read more on College of Liberal Arts & Sciences website.